Dear supporters! The children’s drawing contest My Shakhtar is well underway. Let us remind you that boys and girls aged 6 to 12 can take part in it. 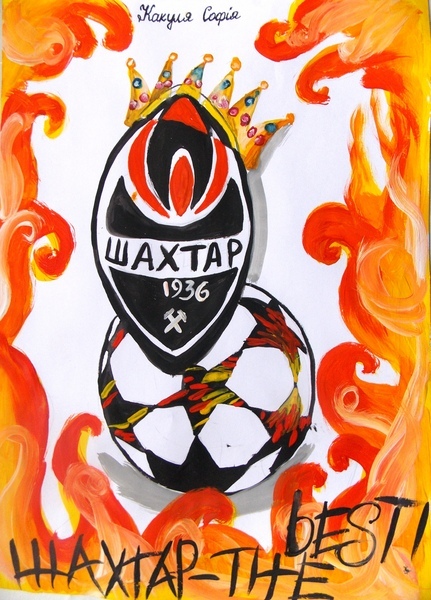 To participate, you should email your drawing themed My Shakhtar to ris@shakhtar.com. The winner will receive a shirt of one of our players. Besides, some nice prizes will be forwarded to the first twenty kids to have sent us their themed drawings. The contest will run through November 29, its results will be announced on November 30. The best drawing will be selected by the team captain Darijo Srna. Please note! The photograph size of your drawing to be emailed to us should not be less than 1 Mb, without distortion and foreign objects in the frame. We recommend that you put the drawing on a flat, well-lit surface and photograph it without flash and glare, you can also scan it. Please make sure to mention your contacts: the name, the contact phone and the town/city of residence. Over the first four days of the contest, they have sent 31 drawings to the club. We bring you the first pieces drawn by the participants. We look forward to receiving more drawings!